The main problem with any successful franchise is that when the end of that series is approaching, studios try desperately to recreate their previous success. It means we get a lot of films that share the same DNA but often in inferior ways or even exactly the same way. We saw it with Twilight, with Harry Potter and now Hunger Games, which has brought us Divergent. Divergent, ironically, isn’t that different from Hunger Games at all and brings some of the same story beats and themes that the more successful franchise traded on. For example, it begins with a strict social structure, with divides based on attributes – not dissimilar to Districts based on profession. The youth are forced to join a different faction based on their innate attribute or even their desire – not unlike an offering to join the Hunger Games themselves. The movie also centres on a strong-willed, young heroine who is the pivotal key to bringing down the whole social structure. It also carries with it some of The Hunger Games’ flaws too. Shailene Woodley plays Tris, who isn’t sure what she wants from her future and what direction she should take her life. There is no build to this conflict or how difficult this decision is so when she does make the out-there choice of the thrill-seeking Dauntless, it isn’t exactly a shock or a big moment. In fact, Tris is probably the least developed and most wooden of all the characters. The support around her at least have something going for them, from the gruff, sadistic Eric, to the complicated love interest Four, through to the friendly support character Christina. All the usual Young Adult tropes are here and ready to be exploited, including an interchangeable heroine who has reserves of courage and determination with no real explanation or motivation. The villain is as weak as the hero too. Kate Winslet has a plan to take over the faction system but again, lacks any explained resolution other than “I don’t like that group of people.” She is used as a protagonist for the main story and a reason to fight, rather than a threat that really needs resolving. This isn’t to say that Divergent doesn’t have some positives. The Hunger Games comparison continues but like that movie, this has a great training sequence in the middle of the movie. The main focus of the film is preparing Tris and her counterparts for becoming Dauntless soldiers and their training is very inventive, from brutal fights, nasty games of capture the flag and the most interesting concept which is the facing of their own fears. It is here that the movie becomes interesting and is worth sticking with. 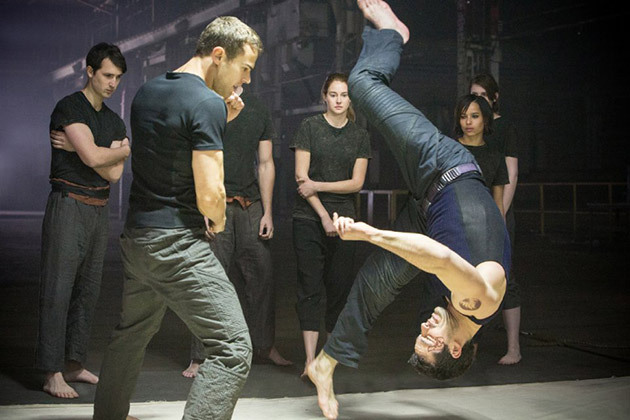 The actual idea of Tris being a Divergent doesn’t really come into play until much later and is when the film falters, forcing a third act battle when the faction and training idea behind the movie is the much more interesting one. 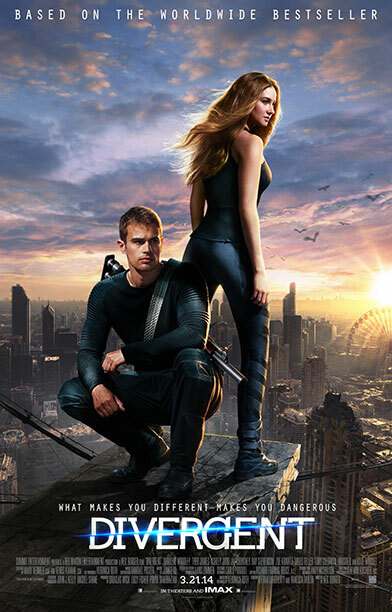 Even at it’s most generic, Divergent is a solid movie, even one that is a clone of Hunger Games. The actions is good, the support characters interesting and the overall idea one that has potential, even if it is utilised badly. Whether it deserves the full franchise treatment is another matter, especially when better attempts, like Maze Runner, are out there competing too. Overall, Divergent is a good attempt to capture the magic of Hunger Games but doesn’t move far enough away from it’s closest rival. Some of the story elements and ideas feel so similar but not done as well, even down to the under-developed main character. There are some interesting ideas here though and if these can be developed further, this could be a franchise to watch. Didn’t quite work. However, mostly got by due to the performances and certain ideas. Nice review.